Although I only make the distinction in my head, I prefer to think of social media as “participatory” media. That is, unlike traditional media, the true value of social media only manifests itself when you participate in it; which can include creating and sharing content, commenting on content, choosing who to follow, etc. But that also includes whom you choose to unfollow. If you find an old friend on Twitter, you can follow them. But if their constant posts about lunch and picture of dogs turn you off, you can choose to unfollow them. I believe there is absolutely nothing negative about that progression of events; everyone has their own idea of what they want to share and experience, and social media give us the ability to sort through what is available and make our own decisions. But some people aren’t content with this. They feel the need to make lists about what you should and should not Tweet about, as though there is some kind of universal system that must be adhered to. As opposed to passively choosing who and what content to follow, I find these attempts to control what people say both negative and destructive. There is no universal set of guidelines (other than those set up by the creators of the platforms themselves) that should be followed in social media. I think the old response to TV censorship applies: if you don’t like it, change the channel. But of course, that way of thinking applies to consumer social networks. Enterprise social networks require a totally different approach. Its up to every company’s HR and legal department to dictate what is and what is not appropriate behavior on an ESN. 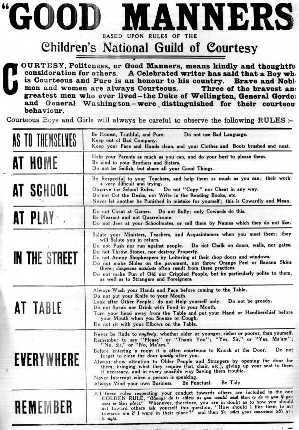 And those guidelines should and must be adhered to. I genuinely believe they’re designed not to inhibit creativity and individualism, but to protect you and your company. Over the last year, I have developed some “rules” for how I conduct myself on our own internal Clearvale network. And before I share them, I’d like to make it as clear as possible that these are my own rules, created by me, and never meant to replace or supersede the rules already developed internally. Just because I may be writing a blog post or responding to a question while physically in my apartment or an internet café doesn’t mean I’m “in” my apartment or the café. When I am using Clearvale, I’m “in” the office and will always behave as such. I never, ever write anything on our ESN that I would not say within earshot of my coworkers. For me, they are the gold standard. You might conjure your CEO, manager, partner, grandma, etc. Picking someone like this can make it much easier to make a decision when you’re unsure if what you’re about to post is appropriate. I should point out that this never prevents me from voicing an opinion, commenting on something or uploading a piece of content; that would be the antithesis to what Clearvale is all about. It’s just a helpful reminder to pay as much attention to how I conduct myself on our ESN as I do around my coworkers. I’ll never forget my 9th grade history teacher, who told us that you have as much responsibility to try not to be offended by others as you do to not be offensive. He said this in reference to traveling abroad, but it is a rule I’ve tried to stick to in my every day life. I’m very lucky to work in a place where people are thoughtful and polite, even when time is a precious commodity. However, you might find people leaving responses to your work that might seem brusque. Instead of getting upset, take a breath and ask yourself a very important question: is this comment helpful? How you deal with a person you find rude is up to you (and possibly your HR manager). But while you’re dealing with interpersonal issues, you still have to get your work done. There might be a decision within your company to build special communities with your ESN for this kind of content. I actually think it can be quite valuable, in terms of getting to know your coworkers and the locale of your office. But your ESN wasn’t built for this kind of thing; it was built for getting work done. Does Your Company’s Intranet Have a Central Park? 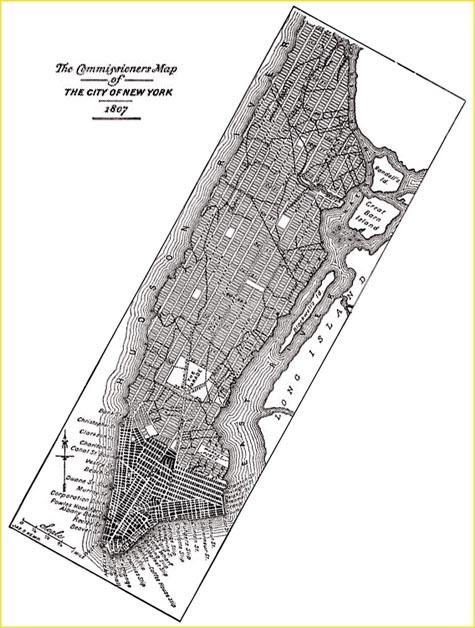 This year marks the 200-year anniversary of the Commissioners’ Plan of 1811; the plan that gave way to Manhattan’s grid system that still exists today. In fact, it’s just about impossible to imagine Manhattan without it. The often near-perfect 90-degree angles that make up the city blocks (except for pesky Broadway and a few other troublemakers) can provide people with a feeling of order in a place that is often, for residents and visitors alike, overwhelming. Created as an orderly way to develop the city’s infrastructure, the plan was, at the time of its creation, criticized for being too rigid. However presently, the plan is most often praised for its foresight and utility. Manhattan is one of the few major cities in the world that is not bisected by a major highway, preserving a healthy pedestrian culture; something that might not have been feasible without the grid system and its wide avenues. The assumption was that Manhattan’s waterfront would provide an open, clean space for its citizens. Obviously, this did not work out as originally planned. Crowded, dirty and loud, the city continued to grow without a “place” to disconnect from the realities of the rapidly changing urban lifestyle. Facing a serious civil disaster, the city didn’t begin planning a solution – Central Park – until 1850, and Central Park as we know it today didn’t really open until 1873. The point of all of this, as it relates to enterprise social networks is that it is entirely possible to create something that perfectly solves the problem it was designed to fix which ignores other issues that can be just as dire. The health issues, both physical and psychological, that began to accumulate before the creation of Central Park would have almost certainly reached some kind of critical mass if a solution had not been found, and New York City would probably not be anything like what it is today. It has been apparent for some time now that the way we work is changing, and much of the infrastructure needed to do that work is virtual. At least one study has already shown that some people are experiencing fatigue with Facebook, which for many people is used as a leisure activity. Who is to say that employees won’t experience a similar type of fatigue when working in a virtual environment? As companies build there own “Commissioner’s Plan” for organizing virtual enterprise spaces, it might not be a bad idea to consider developing areas within their intranet that facilitate interaction that isn’t totally work related, at least not in the strictest sense. Synaptics, a leading developer of human interface solutions, has built a Human Resource intranet using Clearvale Enterprise. Earlier this year, they discussed plans to creatively develop communities within the intranet for some often overlooked uses. One such community would be the platform for an “employee wellness program”, where coworkers can share experiences with maintaining a healthy lifestyle and dealing with illnesses. Synaptics hopes that this will encourage employees to interact with and learn more about one another, as well as potentially decreasing sick days and mitigating healthcare costs. Additionally, the company is considering developing an internal social network where employees can further get acquainted and get a better sense of one another’s roles within the company. Enterprise Social Networking certainly provides us with unique way to improve workflow, but it also provides us with ways to creatively solve issues whose “2.0” version (such as fatigue) have not yet fully manifested.